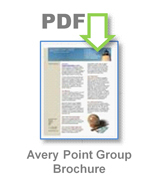 Fourth annual study by Lean & Six Sigma executive recruiting and search firm The Avery Point Group finds Lean talent demand surpassing Six Sigma while companies continue to leverage both methodologies in a down economy. 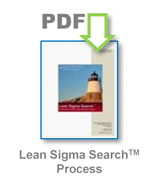 After years of steady gains, Lean has finally achieved a slight edge over Six Sigma as the more desired skill set. According to an annual study by The Avery Point Group, a leading national executive recruiting firm, the accelerating demand for Lean talent is an indicator that companies are increasingly looking to Lean as a means to help them combat the current economic headwinds they are facing. The study also found, for those companies seeking Six Sigma or Lean talent, fully 50 percent are looking for practitioners to have both skill sets. 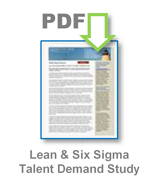 Further, the study indicated that job postings are making increasing demands on candidates, requiring them to possess a much deeper knowledge and experience skill set with regard to their Lean backgrounds versus prior years.